BornToFly is the theme of the 22nd Cape Town International Kite Festivalwhich will fill the sky with incredible kites on 29 & 30 October 2016 in Muizenberg. This is Africa’s biggest kite festival. Kiters from Canada, China, Germany, England, Netherlands, New Zealand, Singapore and all over South Africa are expected to attend. It is also South Africa’s biggest mental health awareness event, with 100% of the profit going to help provide vital mental health services to children and adults in Cape Town and beyond. The festival offers affordable, feel-good, family fun with free kite-making workshops daily, including specialist sessions with master kite-maker Ebrahim Sambo (from Athlone) who be showing how to create a traditional Cape Swaeltjie (Swallow) kite. With a market, food trucks and tea garden there are plenty of food options, or bring along a picnic and let your spirit soar as you watch some of the world’s most amazing kites embrace African skies. 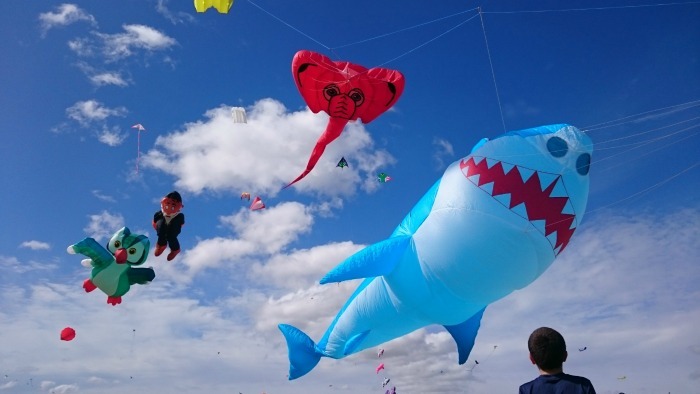 The Cape Town International Kite Festival happens on (and above) the lawns of Zandvlei Nature Reserve, Muizenberg (corner Axminster and The Row). Open from 10:00 to 18:00 daily, the event offers lots of parking and easy access by train (False Bay or Muizenberg stations). Entry is R30 (R10 for children 12 years and under).